I will be attending Balticon in Baltimore, Maryland from May 25th through the 28th. 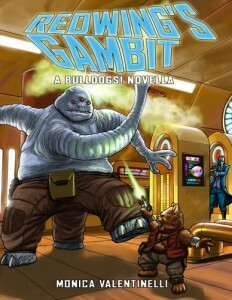 Over Memorial Day weekend I’ll be celebrating the release of Redwing’s Gambit, a science-fiction novella I wrote for the Bulldogs! 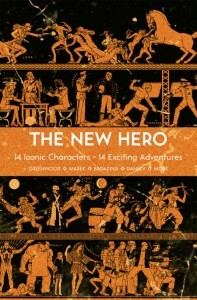 RPG published by Galileo Games. Redwing’s Gambit Cover Art Revealed! I wrote part of this post when I was on my way to New York. Somewhere along the way, in a haze of nigh zero caffeination, I had a couple of very deep thoughts. My hobby anthropologist has kicked in and well… I guess I had to get this concept out of my system. We do not have news anymore. We have newstainment. Many reporters are actors in disguise who have a job to do to keep people interested twenty-four hours a day, seven days a week. We comment on what they look like, what they’re wearing, and focus on their appearance moreso than what they’re spewing. When something is incorrect, we reprimand them on our own social networks, but we keep watching. We keep listening. We keep feeding that fire. The constant flood of communication is beginning to take its toll. Everything that you see and hear about now is not new. It’s not. What is new, however, is the fact that people who previously had no idea what policies, laws, or acts were being discussed now have access to that information. This, moreso than any devious set of people trying to push through their agenda, is what pisses people off. For decades, we have been consumers of news. We have reacted to news when it happened. We trusted reporters to find the truth, to report what was valuable and what we needed to know. We were not subject to every piece of news that ever existed. Now? The tables have completely turned and we, the people, are creating the news and its the networks that are trying to catch up. To get us to listen to them again, the news feeds hit us where it count — our anger, our rage, and our sadness — to force a reaction. To get us to pay attention, so they can stay in business. And it works. Sensationalist (or tabloid) journalism is a tactic to get readers and viewers. However, this is not (and will not) always be the case. We are reaching the tipping point where viewers and readers are exhausted from yet another fight, yet another battle. This is why you see the so-called culture wars that exist right now. It’s a combination of crappy reporting and too much communication combined with fear. While there are some issues that are very real, like how our society is coming to grips with the fact that love is love and isn’t defined anymore between a man and a woman, others are completely fake or based on old assumptions and paranoia. People don’t like change. People never will embrace it, either. There will always be a hot button issue that will create strife among our society and there will always be oppression. Always. Right now, we do not have the tools to help our society transition to one of tolerance. We don’t. Why? It goes back to sensationalism. With so much to scream and yell and shake our fist at — how do we know what is real and what isn’t? Scary thought, eh? Now, add censorship on top of that. Congratulations, you’ve just entered into a daymare I’ve had. Caffeinated Beverages Consumed: I shall consume mass quantities of rocket fuel. NOM NOM NOM. Work-Out Minutes Logged Yesterday: Housework and painting. I may be a pragmatist (though that moniker is already taken by the Practical Meerkat) but there’s no shame in dreaming. Here are three of my pie-in-the-sky things I’d love to happen some day. You know, besides becoming that novelist who owns a multi-million dollar franchise. (Yeah, there’s only three today… I have several, but I’m playing around with the first two as we speak… ) First? Publish an official Hellboy story. Second? Publish an official Star Wars story from a Sith’s point-of-view. And third? Listen to Christopher Walken read one of my stories. (Second on my list would be Gabriel Byrne. You know, *if* I had a choice. :D) For a taste of what the actor sounds like, listen to Christopher Walken reading Where the Wild Things Are. Hat tip to Brain Pickings for alerting her readers to this little gem. Caffeinated Beverages Consumed: Cutting back and it hurts us. In My Ears: Forgot to turn the music on. Game Last Played: Final Fantasy XIII-2 the bestest game evah! Movie Last Viewed: Bah, humbug. Book Last Read: Reading like a crazy woman! There’s a pile on ze floor. I got back from traveling the country late Sunday afternoon. This year, I attended New York Toy Fair for the first time and immediately following that show I went to Austin to the home office of Steve Jackson Games. I’ll follow up with a separate post about New York Toy Fair sometime this weekend, but the big thing I want to point out? The staff at Dark Horse Comics, PSI, and my fellow compatriots at SJ Games are pretty awesome. I had a fantastic time both personally and professionally. After delivering the proof for “Fangs and Formaldehyde,” I took a step back and focus on what I want to write versus what I have to write. I plan a few years out and the way that I do that revolves around what I’m doing to earn a living. When you hear more of me (e.g. publication announcements) it’s usually for two reasons: one, I’ve been writing like crazy to avoid eating mac-and-cheese all day or two, projects I worked on in the past are just now coming to fruition. I learned a hard lesson last year and that was to trust myself — as an author and a businesswoman — rather than worry about how perceptions will affect my ability to get new projects. I couldn’t care less about rumors; they exist especially in an industry where everybody eventually gets to know everyone else. But money? The projects I’d kill to work on? Yeah, that I care about. I can’t plan for someone else’s perception, but I can manage what I’m doing and focusing on. People are going to think what they want, regardless. Half the time authors who make noise are doing it to get attention, anyway. (I forgive them. This is not an easy business to be in and if going down the path of sensationalism works for them? Then I wish them luck.) Sure, bad reviews sting and I could use a bottle of troll spray, but I have to focus on what matters — the words on a page. Fixing what someone thinks won’t help me achieve my goals. Writing and revising, on the other hand, will. To sharpen my focus and balance the requirements of my day job, I am planning for “art” time. Jewelry, painting, whatever. These visual and tangible projects help ground me and make me so, so happy. I mentioned before about how I have a strange relationship with words; I’m not a literal person, I’m driven by *sound. * Now, you know I’m a writer and you may think: “How’s that working out for you?” It means that I usually write to get my message or story out and rework vocabulary as needed in the revision process. Speech is sometimes a challenge. The joke around my house is that I created my own language called “Monica-speak.” *I* know what I’m saying but that doesn’t always translate to everyone else understanding me. My creativity has never been propelled by a word (though, I tend to fixate on the ones I like. Hah!) it’s supported by colors, themes, concepts, and emotions. Ever since my friend Maurice Broaddus told me to “push” I took that advice to heart. In the past two years I’ve dug a lot deeper because that’s who I am as an author and my characters have “felt” a lot more as a result. I think it’s easy enough to get plot and mechanics for a story right, but I feel if you only worry about that? Then it becomes formulaic to the point that the organic nature of storytelling is lost. As you can imagine, organic storytelling is pretty challenging for long form projects. I know that and I’m planning for that. I am *not* afraid to revise and first drafts don’t scare me. After all, Argentum is now on round three. Caffeinated Beverages Consumed: Making a trip to the coffee shrine soon. a.k.a Starbucks. Work-Out Minutes Logged Yesterday: Housework and laundry. Movie Last Viewed: Pirates of the Caribbean: At World’s End a.k.a. I have no idea what this movie was supposed to be about. I’m in love. Whenever any world dives into alternative forms of media to express the setting, I squee like a kid in a candy store. While it’s too soon to tell you what I’ve been doing with my own work, today I’d like to share one of the coolest things I’ve seen in a while. The Hunger Games is a young adult series penned by Suzanne Collins and the movie debuts in theatres at the end of March. I haven’t read the books myself, but the concept reminds me of the films The Running Man crossed with 1984 and a teeny bit of Judge Dredd for good measure. City? Evil. Citizens? Victims. Teenage victims that must be sacrificed in the annual Games. Only the winner survives. A number of sites were constructed that tap into Collins’s setting. Omniously, the hub is called The Capitol and readers get to be the Mayor of the different districts. How cool is that? The one that caught my eye was Capitol Couture, which is dedicated to the fashion in Capitol City. WOW. Very haute couture with an emphasis on a few pieces. Simple content, big pow for impact, and very well done. Mood: Cold. It’s darn cold here. Very cold. Caffeinated Beverages Consumed: Hitting the good stuff this morning. Pepsi Max. Work-Out Minutes Logged Yesterday: A walk. I was cold! In My Ears: Nothing yet, need to rectify this.